Many artists have that one song that they will always be remembered for more than the others. Kenny Rogers has The Gambler (as well as so many others), Taylor Swift has Tim McGraw, Tim McGraw has Indian Outlaw. Mindy McCready of course has Ten Thousand Angels, but since her death she's now being associated with the song she recorded not long before her death, I'll See You Yesterday, a song she recorded in hopes it would help people dealing with a suicide in their lives. Now it's come to light, though, that it was actually Carrie Underwood who had first dibs at the song. The song's writer, Courtney Dashe, spoke with RumorFix and explained how Mindy ended up with the song. Then Carrie released the song and, “I let Mindy know that it was hers and a few months later she recorded it,” Courtney said. Now that we know how Mindy's story ends, I can't imagine anyone but her recording the beautiful song. 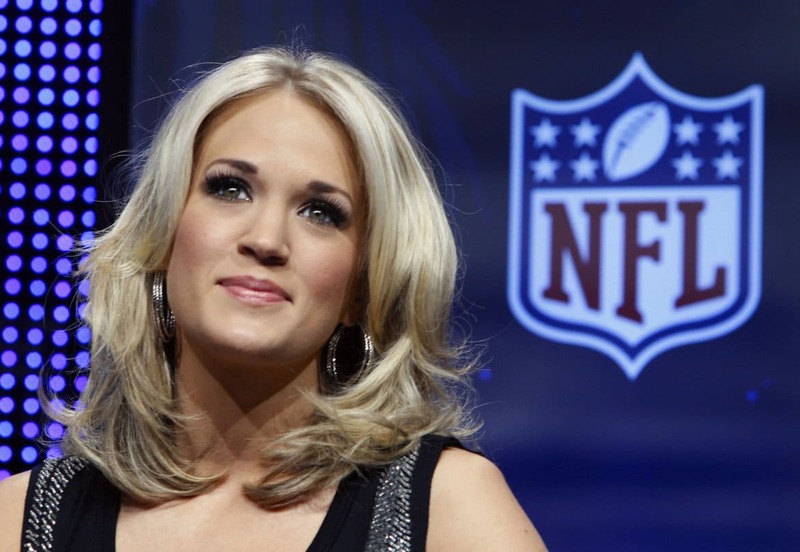 For the third year in a row, Carrie Underwood will be the official (singing) voice of Sunday Night Football.